Safer for crew. Safer for motorists. Easily moved. LIGHt TOWERS. BAG LIGHTS. moon lights. luna lights. aIR LIGHTS. BALLOON LIGHTs. light orbs. INFLATABLES. Airstar Siroccos. By the inventors of balloon lights, manufactured in France. Now in LED. High output, high quality light. 600w 75k lumen LED - Our most popular light. Approx. 40 lux at 14m radius. hmi, tungsten, metal halide also available in a range of sizes. We supply to government agencies and a range of industries. We are happy to arrange an on-site demonstration where possible. SCENE LIGHTING : BEFORE AND AFTER. NSW Police standard scene lighting. M4 motorway in Sydney, routine Random Drug testing. With 2 x 600w LED's, each mounted on adjustable tripod and powered by 1kva. Safer for crew, safer for motorists. 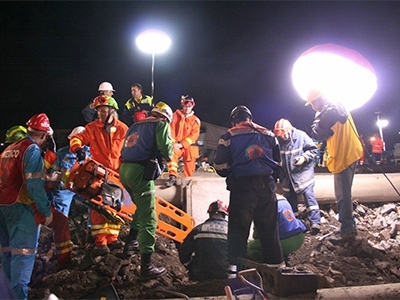 Cave Rescue - Sirocco lights supplied by airstar america. Available in 100v to 240v so can be used with European and American paving machinery. 600w LED light weighs only 12kg when stored in container. Less than 1 minute to deploy : pull from container, position on tripod, zip envelope, plug into power. Light inflates and automatically switches on. To deflate, unzip and the light will automatically turn off and deflate. Let it cool a few minutes before re-packing. Instant re-strike. Warm to the touch, never hot. 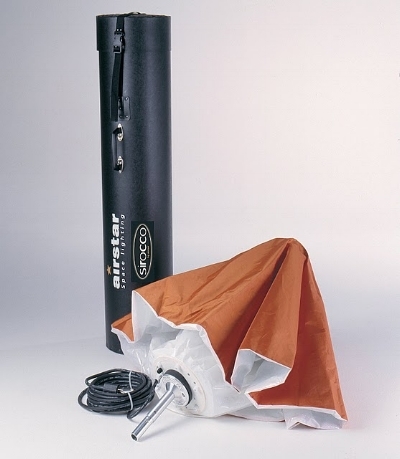 In wind - we suggest our heavy duty adjustable tripod, with sand bags positioned on the cross bars when required. Stands can also be pegged. No need to position as high as "point source" lights as there is no glare. With multiple LED chips, each light has a redundancy factor. Sales only - we do not hire. No need to hire and tow lighting trailers. Siroccos are quickly and easily moved. hand hold easily for close inspection and tight spaces. Tow hitch with genie. Adjustable pole. Haiti Earquake - handheld for close inspection. Esso oil tank re-furb, confined space. Airstar 3 leg gal base, can be pegged. Airstar Gal base folded flat. Airstar height adjustable tripod in 2 sizes.